Revolutionize the way you buy WHOLESALE FUEL. 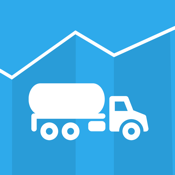 Stay on top of current fuel market movements to help you make the smartest buying decisions. * Predict the market and fuel prices. * Simple to read and interpret. No confusion. * Simple advice: "Buy Today", "Buy for Tomorrow", or "Wait". * Made with the typical bulk fuel buyer in mind. * PowerFuel helps you manage your own fuel orders and their status. * Order fuel for any of your locations. * View order history and get status updates. * Price? Free Forever to Desert Fuels’ customers. * Unlimited access to PowerFuel Market tab and spot market information. * Uncompromising Desert Fuels support. * Payment Method: Charged to your iTunes Account at confirmation of your purchase. * Auto Renewal: $10 monthly subscription automatically renews within 24 hours before the end of the current subscription period unless auto-renew is turned off at least 24 hours before the current subscription expires. * Auto-renewal can be turned off by going to your Account Settings after purchase. * No Cancellation of the current subscription once activated. * Unused portion of any free trial period is forfeited when you purchase a subscription.